"Best low code development platform there is"
The high level of quality in everything Mendix does is what I like best. I have been working for over a year with Mendix now and the number of high quality additions to the platform in this period is staggering. The modeler works really intuitive, it looks good and is very complete. Peolple at Mendix are very active in supporting their developer community with learning paths, activities, webinars etc. as well. The modeler is free to download and use, but your local application will be terminated after 2 - 4 hours. This means that if you are a professional developer, you'll have to rerun your app(s) several times a day. Annoying when you are debugging. I have been working in 3 projects with Mendix now and in all 3 we have created great apps that added a lot of value to the business. "Fast learning process and easy to deploy apps." That it allows me to deploy applications. As a person with no IT background i did not believe that it was that easy to deploy and make applications. However, Mendix have shown me that it's possible! For simple things a person does not need a lot of experience, which allow a lot people to learn it and allows people also be more creative as you do not need to work with syntax errors and try to solve them the whole time! Just a small dislike, but not that critical. I currently like the things I can do with Mendix. The only small thing that I dislike it that with the layout it sometimes makes it difficult to ensure that certain tabs or actions buttons are the right place. Even with placing them or with containers there might be a solution for this. However, I am not certain as I am not that experienced with Mendix. Just try it and do the online courses. It will allow you to see the power of Mendix! It give people with no knowledge of IT the opporunity to make and deploy applications. With Mendix it is possible to shorten the learning curve what is needed to make applications. 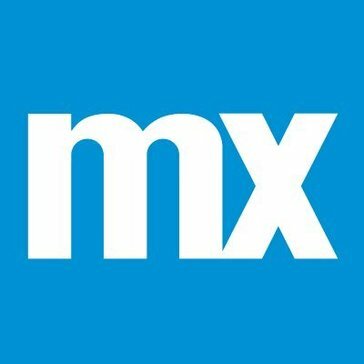 Mendix is RAD tool that I would recommend people i know! Also we are working with in Agile enviroment and we need to move faster. Mendix allows us to do this. "Faster and better applications with Mendix"
The rapid development of applications and the freedom to add code yourself when needed. Most of the functionality can be build with the default Mendix functionality. For the complex functionality one ore more Java blocks can be added. It's well integrated with Eclipse, so you can easy debug the Java code. With the custom styling it's possible to give the application an unique look. Also the possibility to work close together with the business makes it attractive to choise for Mendix. The whole community of Mendix. They organise Meetups to let exports and developers share there knowledge. Not all the widget are update frequently to the latest Modeler version. Creating an application in multiple languages is possible but your not triggerd/forced to translate labels after you edit an existing application. So sometimes you forget to add the translated labels. The pricing model can be an obstacle for smaller companies. Combine the power of Business and IT on the Mendix platform to improve your applications. Does the requirements for the application change often? The rapid development makes it possible to realize all those changes. Because of the rapid development Mendix is very usefull for a POC or prototype. Beside that Business and IT are working close together because it's a low code platform. "My go-to rapid development tool"
The rapidness of deploying a new app or implementing changes. The web modeler's current functionality is too low key at the moment. Try to stay up to date with the modeler version! Mendix is the perfect tool for both agile and devops projects. I've worked with Mendix on both entirely new projects as projects that are on the go for a few years. The fact that it's so easy to just dig in and getting up to speed in very short notice makes Mendix feasible for basically any type of project. Of course it's better to be part of a project from the very first start, as you have an influence on the creation of the data model. But I think one of the biggest advantages of Mendix is that when it's being used in projects, and new developers need to put on, you can bring them up to speed very easily. This is due to the ease of use of both data modelling and microflows and the way you can document your progress. As I'm writing this review I've been working with Mendix for 3,5 years, without any form of IT/technical background. But I'm still astonished by the speed of which I've been able to master the tool and putting it to good use for all projects I have done so far. Conclusion, I would recommend Mendix to basically everyone who would like to build their own app. "A great platform to integrate systems and quickly deploy relevant solutions"
I like the fact that I am able to develop an application in a visual manner, where all the business logic is easily applied. The use of microflows really appeals to me because it keeps the flow of processes clear and concise. I would like to be able to have more control over custom styling, without having to resort to the custom.css file. The webmodeller is gaining features rapidly, so I'm waiting patiently for this. Another point of improvement is the internal database viewer. When creating a sandbox application, and tracking behaviour, I think the built-in database vieuwer is too limited to be useful. I think it is important to not only stress the benifits of how quickly Mendix can help build apps, but also give attention to the benefits of the advantages of leaving the SOR intact (no customizations) and use Mendix as a engagement layer to meet the custom demands. Currently I am working on a project where data stored in SAP is published to Mendix through a custom API, to display information that is not available in a standard SAP view. This application will be used on mobile phones, so employees can quickly gain insight in their data, anytime, anywhere. "Rapid development, rapid deployment, easy maintenance and flexibility out of the box!" It's relatively easy to build a working application and roll out to production, without any form of coding. Building with modularity in mind makes components highly reusable, including lots of building blocks available through an app store. Not all app store apps are maintained well enough to keep working. Especially for the components built by Mendix itself, this is sometimes disappointing. Mendix is most interesting when you can say yes to these 2 questions: 1. Do you have multiple applications on top of core systems? 2. Do your applications use and interact with data? We were able to build applications for lots of different business processess that depend on data usage and interaction. Especially with data intensive applications, Mendix becomes really useful to replace numerous other applications, often built in Excel or Access. Eliminating user errors and errors in maintainability, while building and deploying way faster than traditional development can achieve. "With Mendix I've Switched Gears For My IT Capabilities"
Superfast learning curve. Very intuitive both the web and desktop modeller. Fast feedbackloop with business stakeholders and users. What you ask this morning is in this afternoons test version and deployed in the live environment tomorrow. Mendix ease of use advantage is also a disadvantage. The ease of use support putting more and more functionality in the same app could in the end lead to functionalities being duplicated unnecessarily. After years in IT Management and Architecting I decided to reboot my career as a Mendix engineer. I go to work smiling every day since i switched. Mendix has proven to be easy to understand and use. I love the very short feedback loops with our product owners and project sponsors. The feedback we get from our customers is also very inspiring. They are impressed by the short time we need to come up with prototype of even working solutions already during project intake. Responding to innovative business needs. Removing the bloody handwork from the devops cycle. Work around a growing scarcity in technical IT staff. Very short time to market for new business ideas. Very agile in responding to business needs. Mendix, unlike other platforms, has a firm focus on accelerating business & development. Where others have a more development orientated focus Menix gives more tools to organize and collaborate. So by adopting this platform, you do not only accelerate development you also allow your business to align with this capability. Next, to the platform, they also provide services to design and execute your digital practice which makes them so much more that just another platform. Mendix always employs cutting-edge technology that asks adaptability of your people. You need an appetite to constantly innovate and improve to keep up. Mendix is a cutting-edge low-code platform that can transform your capabilities as an organization. When applied as a platform always make sure you take organizational transformation into account. When you are adopting the technology as a whole, use external/partner support in the start and structuring of your Mendix capability. We are one of the leading global Mendix providers and have solved countless business problems. Mainly focused on enterprise optimization and innovation. "The best and fastest way on changing and facilitating your business within an ever changing market"
The strengh of Mendix lies in the simple handeling and easy to grasp/learn logic and ui. The ease with which you can translate business idea's and implement these within a maner of hours or days. This really improves the interaction between IT and the rest of the business. When handeling large datasets Mendix can be quite slow and you should resort to java or sql. As a lot of users are used to fancy iOS or Andriod apps, users often expect a lot or have wild ideas about how ui should work. Since you are bound to the framework of Mendix your options are limited to the framework. That being said, there are a lot of options to customize your layout/ui. While Mendix is a tool for a lot of business related issues it does not solve everything. Think carefully where you want to use Mendix for and if Mendix is the best solution for that problem. For my clients I have solved a lot of different problems in various industries. "Idea -> Mockup -> App"
Mendix is highly flexible and can be used to quickly get prototypes running. The available training videos and step by step tutorials help you to get started. Simple apps can be put together in a relatively short amount of time. When enough background information is provided, the active community is able to either solve problems or at least point towards the right direction. Due to the active community and direct feedback of ideas for future modeler releases, Mendix is able to react to popular developer needs rather quickly. Unfortunately, the release cycle also comes with the drawback of many versions. Although the apps provided in the AppStore might be very useful, it can be tedious to get them running without prior knowledge. Especially for starters, a bit more documentation could speed up the setup. Mendix can solve a great variety of business problems. Customization is key - Mendix provides you with the tools you need. Mendix is supported and steadily developed and improved. I like the speed of the whole system. With Mendix, you are able to deliver prototypes in a very short time. I also like the integration of webservices like soap and rest. Data modeling is well structured in Mendix. Sometimes, Ui development is not as intuitive as it seems at first sight. Especially if you are a backend developer that is not very familiar with frontend web development. Sometimes. Just give it a try. The online tutorial is a great starting point. Mendix is great to build a custom application that just fits the business needs. Instead of paying for standard software and changing your business to work with the software you build your application to work with/for your business. Also, the software is growing with your business and can be constantly changing to always fit your requirements. The users can (and should be) involved in the development process. "Mendix - The Platform for success!" I've been working with the Mendix platform for 6 years now, and still find its easy to learn, hard to master developers user interface great. The built-in real-time model checking features are top notch, omnichannel development (develop functionality once, create a desktop/tablet/mobile app in a snap), ease of setting up integrations with other systems are great. The Mendix community, with its active developers and knowledge meetups is fantastic, anyone can learn almost an infinite amount of things in no time. What could be improved upon is Mendix' document generation mechanism. It turns a graphical template into XSL-FO, which outputs PDFs, Docx, etc, but a simple change in the template requires an entire restart of your application. A 'generate preview document' button would be much better. Complete development platform for both Business and Developers. Easy to learn, free to learn and use for the first time. Connects with any database and most other (legacy) systems. Active community with lots of developer support, new ways of creating functionality and a top-grade User Interface (Atlas UI) framework, which makes it easy to create beautiful, user friendly apps on the fly! Creating business value for our customers. Helping them work better, faster, more efficient. Putting smiles on the faces of our end users and wowing them with fantastic looking apps, developed in days instead of weeks. Being able to change the application on the fly, stunning customers who have bad experiences with traditional development methods. "Mendix, for fast implementing and conitnuous improvement"
With the easy to understand user interface that you can create with Mendix, you can easily discuss with end-users what they want to see in Mendix. Then the change is rapidly implemented which contributes greatly to the continuous improvement of your apps and your user satisfaction. I'm missing the functionality to add security on a developer level. It would be nice to see developer security roles that lock certain module such that junior developers can be locked out of some modules or end-users can be allowed in the model. Just start with a simple app for your own test purposes. After seeing how easy it is to use, you will be convinced. A great part our consultancy company works with Mendix and we've used it for several clients. The great power of Mendix is that it can be used for a great variety of business problems. We've used it to create guided questionnaires, but also to create an integration layer between all various kinds of services. So from a business perspective it is an easy to use tool. Also from a developer perspective it is a great tool. The way of modeling is easy to understand and proper documentation while modeling is also possible. There are great learning paths to follow for new developers as well. Projects can grow quite big very soon, however, in Mendix you can easily separate the modelling into modules, but also in microflows that preserve the readability for new developers that join the project after a few years. For myself, I'm working with Mendix for about 1.5 years and I already became an advanced developer. As I mentioned, it is an easy learning modeling tool. "Great platform for developing applications"
After following the Rapid Developer course I was quickly able to build a rather complex (proof of concept) application for a transport company. Mendix enables you to develop applications in a fast, iterative and intuitive way with almost no coding knowledge. In the Mendix App Store you can find a lot of building blocks that you can use in your application; you don't need to 'reinvent the wheel'. Mendix has an active community forum that you can use to ask questions might you get stuck with a problem. Deploying to the cloud can take some time. Follow the free online Rapid Developer course and just start building your first application! We were able to rebuild and functionally extend an application in just three weeks which had been built in the traditional way (html, css) and which took three months to build. "Flexible and Fast way to produce business apps"
I like who easy the app is to use. Everything available within 1 or 2 clicks. It takes all the boring aspects of developing away and leaves only the joy of creativity. It comes with the Sprintr where you use for collaborations (user stories, etc) which is also integrated to the Modeler. Great free online training too. I don't see the amount of information on the changes of every commit. Merging branches doesn't always go smooth. It's ideal if your core business is not IT and you just want a flexible way to produce business applications by leaving most of the worries (cloud, infra, development) to Mendix and its partners and you stay on the role of the Product Owner. Huge acceleration of the time-to-market for simple business apps and way better maintainability. "Great app development platform that minimises the gap between business and IT"
I love the speed at which you can develop when using the Mendix platform. Because of the visual way of building logic in Mendix, it is very easy to collaborate with non-IT related roles from the business. This results in applications that really fit with the business and the future users of the application.What I also like is that back-end developement and styling go hand-in-hand when using the Mendix platform. Of course everyone has their own expertise, but front-end and back-end are no longer two worlds apart. Mendix has great tooling to set up a basic theme for your application based on your company colours in just a few minutes. So even when you're not a styling expert, your apps will look good. Mendix has a lot of 'out-of-the-box' functionality, which in itself is great because in general increases the velocity of your app development. What I don't like about it is that the functionality is sometimes not flexible enough and in those situations it takes quite a lot of time to find a work-around. Just try it and you'll be convinced! Mendix can solve a great variety of business problems. It is great at intergrating with existing applications and software. WIth Mendix I've built several flexible shells on top of existing application landscapes, for example; I built a sels-service-portal for a logistics company on top of their SAP environment. Mendix is also great for building apps that are very specific for your business. The general software environments are often not flexibel enough to please the needs of the business. To start building apps from scratch in Java or .NET for example often comes with too much maintenance for a company. For these kind of business cases I've also used Mendix to do the job. "Quick and easy to learn"
The easy way to create apps and model the logic behind these apps. Also Mendix releases often updates with new features and better solutions for our needs. The possibility of linking development to user stories in their Sprinter application. That the quality of new Mendix modelers is not tested correct. The lack of a great user selectable UI/UX. It is best suited in a environment where it needs to support some sort of workflow, where speed of innovation is key. Use the sprinter environment for added user stories. IoT integrations and many more. It is best suited in a multibrand/platform environment where it needs to support some sort of workflow, where speed of innovation is key. "Efficient platform for rapid creation of applications"
Ideal application which will enable you to provide a customer with an initial application for further enhancements. Perfect platform for working with PoCs after which you decide whether to go with the platform or build a custom software. Time invested in creation of the PoC applications is short (lets you create a working application with limited functionality within days and not weeks). Possibility of providing a quick solution to requirements handed over by customers. Ability to provide a working solution (with a lot of working features) within days and not weeks. The relative speed and ease of creating applications without extensive programming knowledge is a great plus. It's easy to learn but hard to master. It's a great tool for easy integrations to other systems and ideal for agile/devops development. It's great for developing re usable components and thus delivering business value asap. There are a lot of different versions that require a lot of keeping up with the latest releases. The sprinter is not ideal for bigger projects as it doesn't have a lot of functionality. Quick and easy development and continues improvement while working together with the business. It's very easy to quickly create new business value. "Creating applications in no-time with Mendix"
With Mendix, the time it takes to develop an application is very small. This way, the feedback-loop for the product is very small, which gives great value for the customer. There are limitations to the platform, which sometimes cannot be easily worked-around. Mendix is a perfect starting point for beginning developers. You don't need a lot of development experience to be succesfull with this tool. On the other hand, it helps to have an object-oriented mindset to succeed in this field. I am participating in a project for an insurance company. We are are developing a tool to make offers to customers, and are ever extending the range of products we are offering. "Perfect platform for adding business value and creating robust Apps"
I love the visual way of modeling. I don't have a technical background from my education. If you understand the business and do have affinity with modeling the Mendix platform will suit you like a glove. It is awesome to have the support of the community. Updating from really old versions, going from a old version 5 to the latest version 7 is a pain. The mendix documentation however will be able to help and there is always the community to support you. Perfect RAD platform for people with common sense and a business logic. I've created multiple apps, last app we've created made a decrease in manual labor from 32 hours to 30 minutes, the app was created in just 3 weeks and the manual labor of 32 hours had a backlog of +2000 items left. The first two weeks we had no end-user involved, we could start creating an app and after this the end-user got involved. The whole data structure had to be rebuild (Difference of expectations between IT and Business...). The mendix platform is very agile and we've reconstructed everything in a couple of days. IT & business were surprise by the speed and efficiency. "From business engineer to Mendix developer"
The thing I like about Mendix is that it's a full package for a low-code platform in which you can quickly develop your own applications. What I mean with full package is that it delivers not only a great platform, but also a large community where you can ask around about your challenges and great learning modules to understand the basics and advanced thing about Mendix. There aren't much things that I dislike about the platfrom. If I should name one then it's the maintenance of the widgets that you can find in the app store. When you upgrade the platform to the newest version, some widgets aren't compatible any more. We are solving a varity of business problemens with Mendix. For instance a often built in Excel or Access sheets. We are eliminating user errors and errors in maintainability, while building and deploying faster than traditional development can achieve. "Winning the UWV/ SVB hackathon 2017 with Mendix"
The platform has given us the power to win the UWV/ SVB of oktober 2017 with Mendix. Within 24 hours we wore able to build the 1st solution. With its great standard features, and powerful extension capabilities in the form of building custom widgets we have made a single page app that was connected to Microsoft Face recognition, Google Speech to text and many more external services. You need to be a fullstack programmer to truly capture and also understands its power. Its not for the business user, but for the professional who wants to develop at lightning speed. Start your project with a Mendix professional right from the start. Do not think that a non technical person can start a complex application. Train your internal staff up to the level of advanced Mendix expert before starting a big endeavor. Mendix allowed us to make an MVP (a Proof of Concept) in less then 24 hours. That is architectural designed with security first in mind. Capable to be used in a high demanding and high available IT environment. Mendix offers a great platform, not only for developing, but also hosting, deploying and maintaining your applications, facilitating the entire development cycle of an application. Applications can be made really fast, and with the help of the Mendix Modeler, almost without any coding. Changes in your app can be done very easily, because Mendix handles everything in the background for you. Great when a customer wants a change, and you can do it while the customer is sitting next to you and can immediately see the changes. Integrations are also really using. Using Mendix, you can consume or publish SOAP or Rest services very easily. Using the Sprintr platform, deploying your app in the Mendix cloud is very easy and user friendly. Mendix offers a lot of standard tools/widget to use in your applications, which make developing your apps really fast, but when you want something different from the standard, you have to reside to custom coding. It is possible within the platform, but may require some more time. Development speed, being able to quickly respond to changes. For customers, we have used Mendix to create custom apps with integrations quickly, where standard off the shelf products do not suffice. Once you get the hang of it you can quickly build applications and keep them working while further developing them. Everything is moldable to how you want it. Not as easy to understand as I'd hoped - coming from a totally different background I still have to learn a lot. I can see why it's called low code but it's definitely different from no code! Mendix is a solution for big companies I'd say. Make sure you get seniors on board to guide your juniors! Quick solutions for in-house applications. I like being able to easily reuse code and be able to work together with business to quickly develop applications that do exactly what the business needs. Mendix does not support a dark theme, yet :-). Mendix has some trouble with handeling and generating reports and or documents. This however can be solved with integrations or custom widgets / modules. Creating business value for different customers. Being able to quickly make changes and push them to the cloud with only a few buttons. Mendix allows us to develop software in a fraction of the time that it would take for traditional methods to develop the same. The fact that I can sit down with an end user and create their perfect application together with them in a single sit. The license system is focused on medium to big firms, whereas the pricing model often is unfavorable for a small firm only needing a single small application. There is no limit to the problems that can be addressed and solved, from client facing to back-end, with no limit on industry. Benefits are realised for all parties involved, both at the client and customer side. Integration with other web services, especially SOAP based, but also other RESTful services, is extremely streamlined. Data structures and web service calls are auto-generated, and sending of files via different protocols is supported without any extra effort. The App Store is critical to meeting customer expectation, because it features hundreds of ready-to-use components. The problem is that some of the components are not-updated regularly by their owners, and since Mendix is not the owner, support for these components is hard to come by. If you are attempting to break new grounds and conquer emerging markets, Mendix gives you the ability to quickly test out your ideas before making a serious commitment. If the requirements are uncertain and they are constantly changing, Mendix empowers developers to react quickly and stay agile during the development process. Our company uses Mendix to empower customers to digitilize their business model and innovate in the digital realm by providing new, unique and competitive features. So far I have participated in three projects for three separate customers. For all of them, we have been able to deliver beautiful and functioning apps in record times, reducing the time from idea to production ready application to just a few months. "A fast way to innovate business app"
With Mendix it is possible to to quickly innovate business app. With a quick time to market and model-driven development apps can be developed much quicker than the old fashioned way. The web modeler can be a bit more intuitive to get more out of it. Currently we work on a business app where administration and invoicing is being automated. Automated ways of gathering data, and automated ways of checking if all necessary documents are received saves time for employees, which frankly are to expensive to do this type of work. "The mendix platform has been a major upgrade for our organization"
The biggest issue we had when first using the platform was tied primarily around some of the UI and services components. After discussions with the Mendix team, and some of their own enhancements, we have found the platform continues to improve and provide us the flexibility and speed we look for. "Easy to start, very quickly becomes a powerful tool"
Mendix really excels at getting you started, but allows you to really dive in shortly thereafter, even for someone without a development background. It's also nice to not have to worry about setting up a database, and the built-in debugging does a great job of leading you to the root cause, and telling you what must be fixed. The community has also proven to be a huge boon, and answers to most issues are only a quick forum search or question away. OOTB, Mendix lacks some functionality, such as email integration and authentication, but this is mitigated by leveraging their great and growing appstore, and some custom Java. The default UI/UX themes are workable, but a bit stale. Delivering a truly amazing experience requires some knowledge of CSS/SASS styling. As well, you must carefully evaluate the value in updating projects to newer versions of the Modeler, as some functionality may break when doing so. Getting started is free, so you have nothing to lose in trying it out. We are mostly replacing legacy business applications with Mendix-built solutions. The speed at which solutions can be delivered has proven to be a huge benefit, as well as the ease and speed of iterating on feedback from the business side of the development relationship. "Great platform for speeding things up"
Easy to work with modelling tool and very comprehensive webbased cloud platform. Great compatibility with technologies (on prem, Mendix cloud, your own cloud of choice, docker). Very fast to get to a minimum viable product. Mobile and offline still have it's limitations. UI editor is a bit complex sometimes, and making the apps look really really sleek is a bit challenging, although the out of the box styling options are also very decent. "Great RAD tool and easy to learn!" Mendix is very easy to learn and free to try! The online learning paths are great and range from beginner to advanced. New learning paths are added frequently and the others are regularly maintained. Customising the desktop modeler works fine (placing toolbars where you want etc) but there is no customizing the theme (yet). For instance a dark theme would be a great addition! We can develop applications really quick (couple of days) and our customers are always amazed by the speed with which we can show them new features in the application. "Great platform to quickly fill in business needs"
The fact that it is an all-in-one solution to develop, deploy and monitor business applications. Low code development is the future and Mendix is een A+ representative of this philosophy. Recently there have been a lot of exciting releases which shows that Mendix does not stand still and devlopes very quickly! I dsilike the fact that in recent releases there is an emphasis on the webmodeler. Quick solutions. Easy to get the business involved in the development process because of the visual way of modeling. Much faster then java development for example. the fact that it is a rapid development platform. For someone like me, whose always done design but could never realize it and had to pass it on to developers, this platform enables me to use my experience as a designer when I build awesome apps. Sometimes I do have issues with backwards compatibility with for example widgets and new modeler versions. It sometimes results in forced upgrades or broken functionality and was not anticipated. Rapid development with more time to consult with the client and demo in a short period of time. "Rapid Development Tool that suits my needs"
The flexibility and fastness of the developing a new or existing app. The easy re-usability of created logic. The fast deployment to the cloud. The version control with multiple developers on the same project. I also like quickness in response when I have an issue with the software. I don't use the web-modeler, why should I bother with an incomplete version of the software? The problems that I am solving are mostly related to workflow processes. Most of my applications are replacements for old forms on either printed paper, word or excel. "Extremely productive and positive "
Firstly the culture of the community around the platform. Secondly Mendix's innovative approach to the entire SDLC means that business requirements are developed with the least amount of waist in the process from the capturing of requirements within the functional system all the way to the one click cloud deploys. Lastly the pace of innovation the platform enables. The moddler that is used to develop the solution requires windows, while a web version is on the way it's not clear if that version will support the work flow logic capturing Microflows. If you are in the early stages of your business were you will need to release functionality to the market and then potentially pivot then there is no other technology that will enable that better than Mendix. Many problems. From the business business perspective the biggest problem we are solving is the capability of reducing time to market. Functionally we're solving workflow and automation problems as well as data integration and consolidation problems. "This platform allows you to accelerate your business." The visual IDE for developing apps and the automatic validation of the model. This allows you to develop fast without technical errors, and communicate easily with customers. Some features are not their or not mature yet, then customization is needed. The app store helps, although some modules are not well documented. We are accelerating businesses by creating innovative apps. Because development is faster then traditional coding projects the iteration of creating business value is much faster. "This really is rapid development"
From first setting up your project until having a running web application in the mendix cloud is a matter of hours. The 'no-coding' marketing bubble by Mendix suggesting you don't need developers anymore. Take your time to understand how Mendix works. This is a different way of working but it's worth it. We deliver integrated web-applications as extenesion to our customers existing CRM or ERP systems. With Mendix we can react much faster to changing requirements. What I like best is the way coding was made easier with the help of the GUI. The range of actions available make developing a business logic much quicker and very efficiently through microflows. What I dislike is not the Modeler itself but the documentation available for it. Some of the functions that can be used in the Modeler are very poorly explained without any sufficient examples. I would definitely need some more information as to better understand and use the available functions. The business problems resolved by Mendix and the app I am offering support for are in the insurance industry. I have managed to create a whole variety of features that simplify users' life throughout a quote/policy cycle. Quick and easy to create basic web applications. You can start creating your own web applications with the basic training Mendix provides. However you have the possibility to create powerful core process applications with a lot of integrations. The Platform restrictions that are defined by design decisions, you are limited by what Mendix offers you. However you can go 'outside' the platform and create additional widgets but they are harder to maintain and this isn't helping the general overview of the application. Mendix helps us in delivering a multi language tool for clients all over the world. They struggled with slow development and updates, now they have the possibility to update every customer at once with the same version built. "First steps in a fast paced development world"
What I like best is the ease of development combined with the speed of development. When an issue turns up, a first solution can usually be tested within the hour. The links with other systems can be improved in my opinion. Furthermore, the creation of page layouts is more difficult than it has to be. I hope that with the further development of the web modeler, this will also be picked up. The online learning community is very well designed. After following the rapid developer path, everyone can develop their own starting app. I would thus recommend starting here. As a consultancy firm, we tackle the problems of our customers using mendix. These problems are mostly retail related. "The most flexible and best supported low-code platform"
Modeler could preferably be more WYSIWYG. Can't wait for the desktop modeler to be as WYSIWYG as (or even more than) the web modeler. UX/UI possibilities could preferably be extended, current functionality is usable for 80% of the situations, the other 20% requires 80% of the effort. I would advise using Mendix. Up to now I only used NMnendix to solve bid, PoC and training problems, but also in those situations the added value of Mendix is already showing. Mendix is a brand-new world. The low code concept must be the trend. I used Blue Prism before so I can easily catch these similar ideas. The web modeler can't do some complicate activities so I had to switch to desktop modelers. But sometimes the web modeler is much easier to do some UI work. It was slow and not easy to make sure both modelers sync very well. I encourage everyone to take a look on Mendix. Mendix apps replace the legacy application in a much better new level. The back-end data will be changed to Big Data so the front-end legacy apps can't work anymore. The platform allows great colllaboration within the whole team. This enables quicker and smarter application delivery. A developer can quickly show the business how different ideas can work and the users can see the progress all the time keeping them fully engaged and excited in the journey. The document generation side and reporting could be a little more sophisticated. For example, it would be great if the drill through reports allowed more functionality. That said, using OData the data can easily be manipulated in many reporting tools. For those considering implementing a mending solution, I would really just go ahead and try it - it really is the way forward! For those learning, I would encourage you to try and get involved in the Mendix community - there is a great academy site - and some great documentation, tutorials and webinars available. As a Business Partner with Mendix, we are working with our clients closely to deliver innovative and exciting applications. "A powerful tool with seemingly limitless resources." I would be hard pressed to think of a sort of application that you would not be able to build using Mendix. Once you learn to think like Mendix; its world seems to open up to you. There is an endless and ever-growing library of extensions and plugins to help you basically do anything that you might want to. A vibrant user community is there for support, should you need it. There is a steep learning curve; the fact that the platform has its own particular vernacular makes it nigh impossible for a self-starter to just open up the app and start without any form of guidance. It is helpful to seek as much knowledge about this platform as possible, as it is difficult to find your way through the initial stages without a guide of some sort. Even searching the user forums is extremely helpful; as you will seldom - if ever - be the only person who has not had the same question. We have used the platform to handle form submissions as well as databases and statistics applications. Integrating APIs into the apps have helped us to create powerful apps that have the "brain" of the organization, or at least its data. The ability to visually design a domain model. Allowing developers to quickly create a model, keep it simple, clear and explainable to the business. As the domain model is the core of the application, this really matters later on in a project. Next to that almost anything can be realized quickly and well. As a low code platform Mendix provides a lot of default elements, however when these do not fit the requirements you have to revert back to coding to provide alternatives. Mendix is working on improving this however, making the default widgets more adaptable. Bridging different platforms (SAP, ArcGIS, etc) within one organization. A company wide project planning tool. "My sublime experiences with Mendix"
Mendix is a platform that is designed to create complexity in a matter of hours with tools that are simple to a developer, yet have a sophisticated underlying layer or logic. This helps in creating smart apps in a short period of time. If you want to create an app for a smaller company, they will most likely not like the expensive license. Digitalizing offices, HRM and CCM applications and legal document handling. "a platform to drive innovation"
the speed and flexibility to create tailor made applications for customers. Deploy them instantly to a free cloud node or a paid cloud node. altough you design your applications visually, it could be easier to preview your application from an enduser perspective. try it for free, you will be amazed. created applications and business templates for retail, logistics, b2b and b2c. Combined system data with data from sensors and devices. The possibilities are endless. Accelerating business & development, Easy to learn, Build business logic fast with enterprise grade security. The flexibility and fastness of the developing a new or existing app. The easy re-usability of created logic. The fast deployment to the cloud. The version control with multiple developers on the same project. I also like quickness in response when I have an issue with the software. The pace of innovation the platform enables. The improvement of the interaction between IT and the rest of the business. * We monitor all Mendix reviews to prevent fraudulent reviews and keep review quality high. We do not post reviews by company employees or direct competitors. Validated reviews require the user to submit a screenshot of the product containing their user ID, in order to verify a user is an actual user of the product. Hi there! Are you looking to implement a solution like Mendix?